Britons shunned turkey and blue cheese for alcohol and cakes this Christmas. 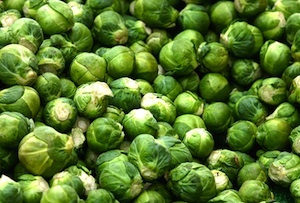 It seems the legions of Britons who detest the pungent cabbagey taste of the humble Brussels sprout are finally getting their way. Sales data from the major supermarkets released today by analysts IRI reveals sales of the controversial vegetable fell by 19.1% in value this Christmas as shoppers shunned some of the less popular elements of traditional festive fare. Sales of whole turkeys were down 7.2% in the period, while champagne sales dipped by 8% and gammon, beef and bacon slumped by 4.1%. It’s worth bearing in mind that the data does now include discounters or smaller retailers, suggesting some people were nabbing bargain champagne from the likes of Aldi or buying a hand-reared, organic, quinoa-fed bird from a speciality butchers rather than forgoing turkey altogether. After a difficult year for the major supermarkets, takings over the six weeks to November 27th were down by 0.2%. Things could have been much worse after a 2.5% fall in the first two weeks of the period and a 1.2% fall in the middle two weeks, but in the final two weeks sales were up 2.1% on last year to a total of £1.73bn. Not entirely bereft of Christmas cheer then.